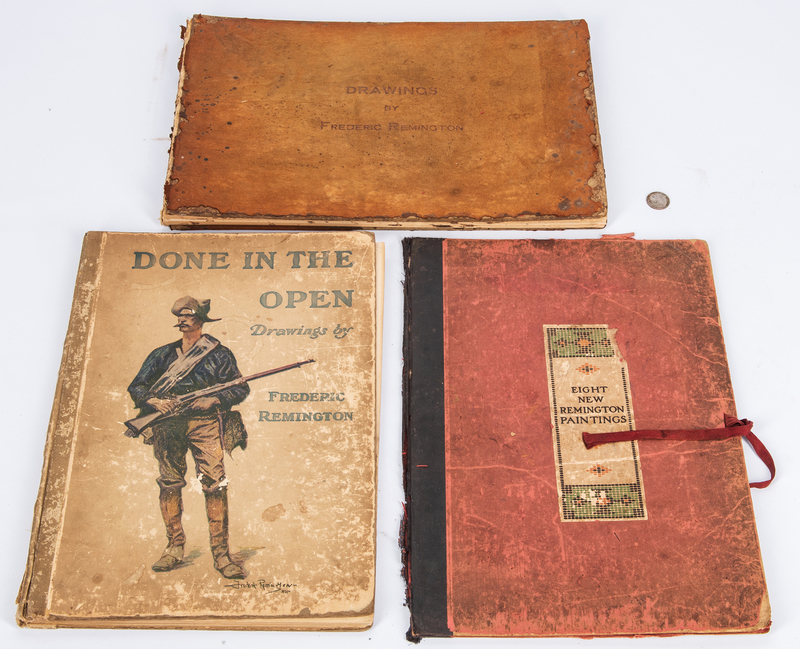 Three (3) Frederic Remington books/portfolios. 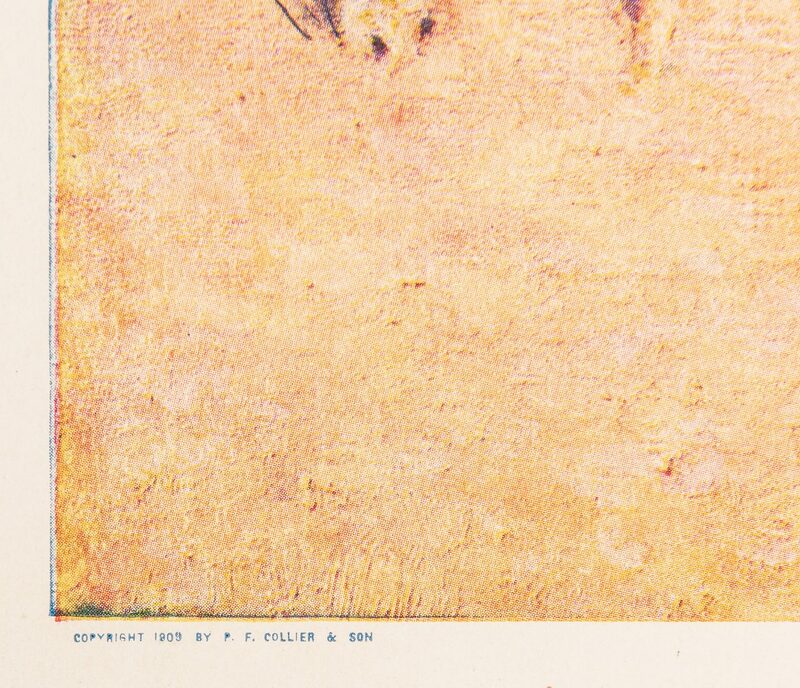 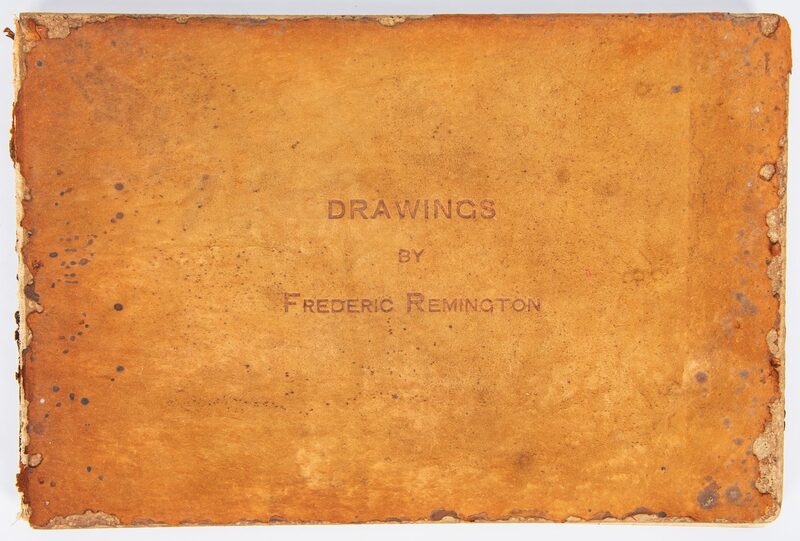 1st item: Drawings by Frederic Remington, Signed Limited Edition, 1897. Published by R. H. Russell, New York, Lawrence and Bullen, London. 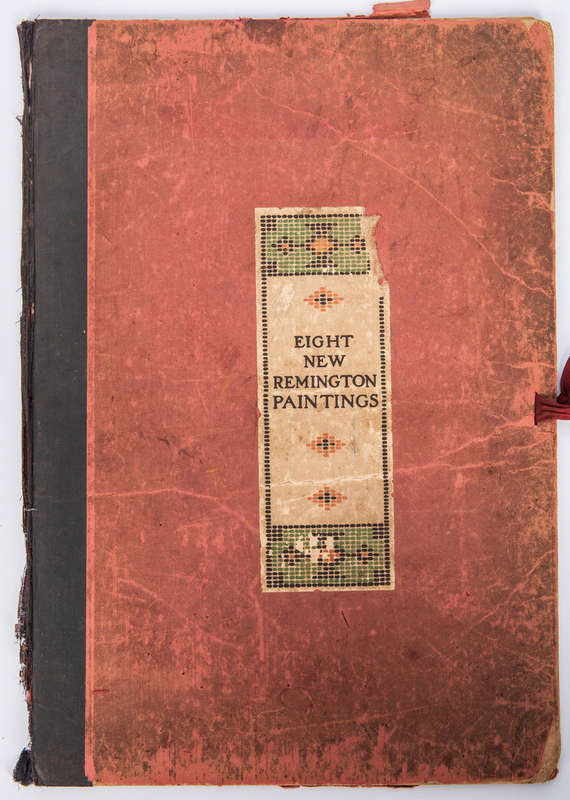 Signed by Frederick Remington and numbered 231/250. Oblong folio, 61 lithographic illustrations of Remington's paintings, hardbound in publisher's suede with embossed lettering to front cover. 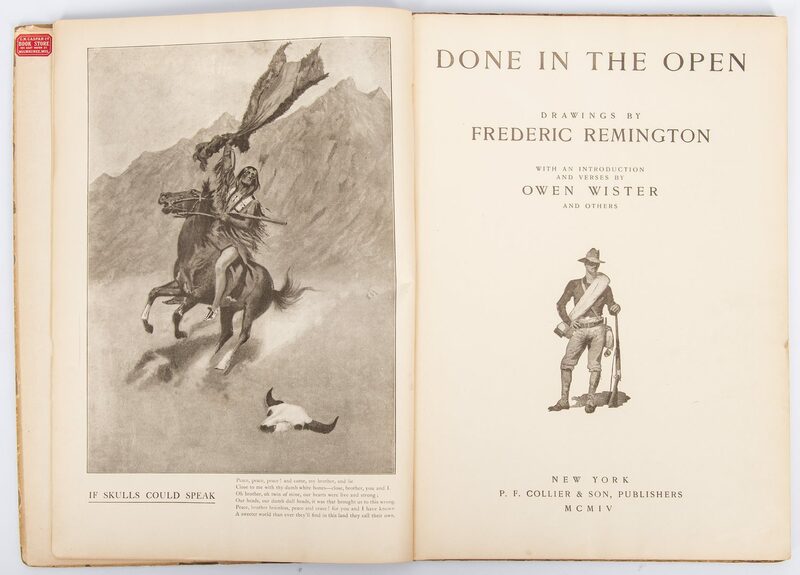 11 3/4" H x 17 1/2" W x 1" D. 2nd item: Done in the Open: Drawings of Frederic Remington by Owen Wister and Frederic Remington, 1904. 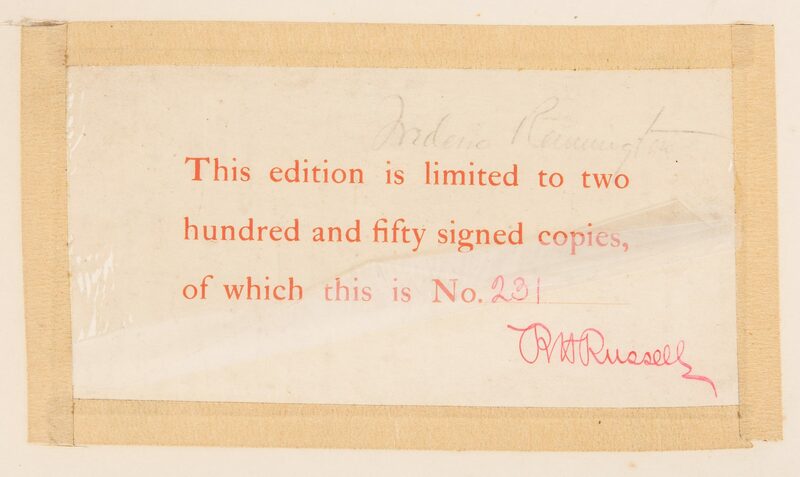 Published by Peter F. Collier and Sons, New York. 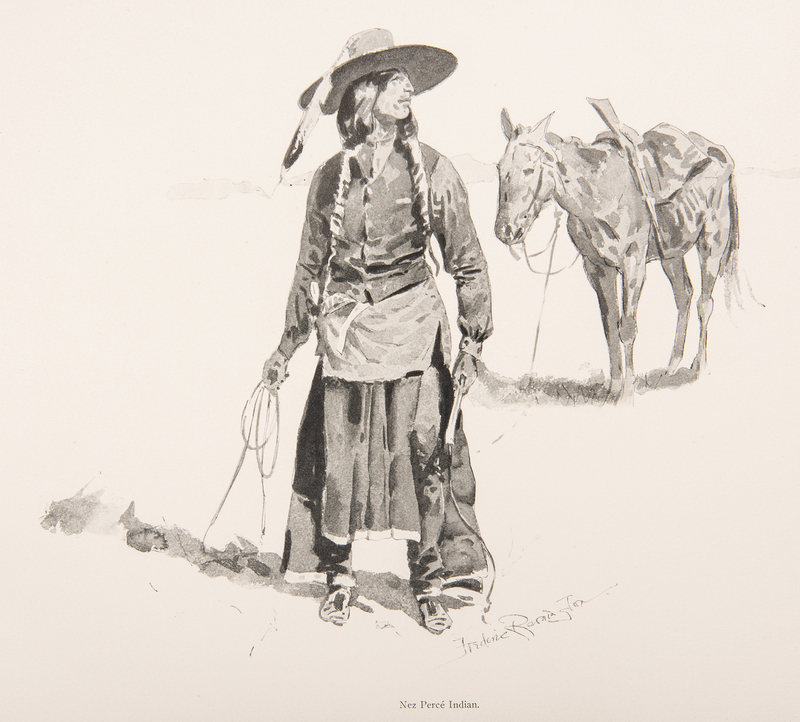 Folio, 83 pages with 27 full-page illustrations and 10 double-page illustrations, including one double-page, color illustration titled "Caught in the Circle", hardbound quarter tan cloth over tan illustrated boards. 16 3/8" H x 11 1/2" W x 3/4" D. 3rd item: Eight New Remington Paintings portfolio, 1909. 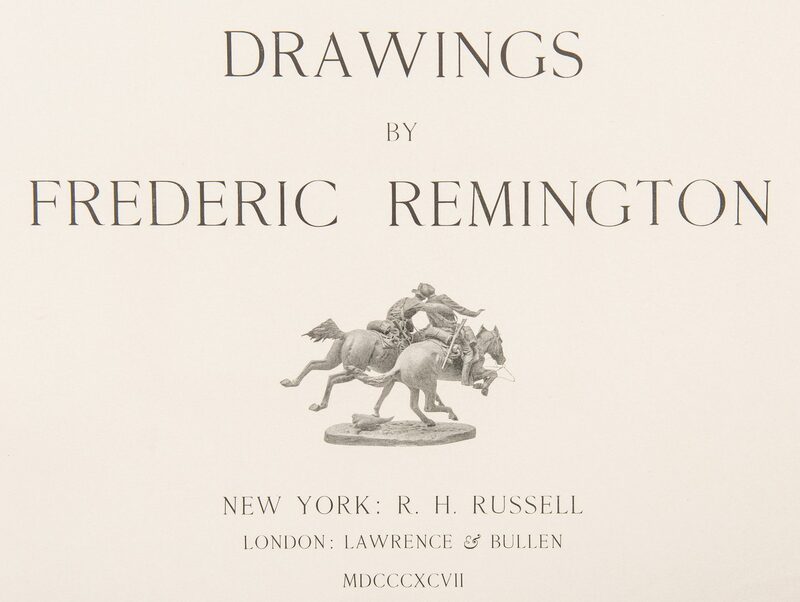 Published by Peter F. Collier and Sons, New York. 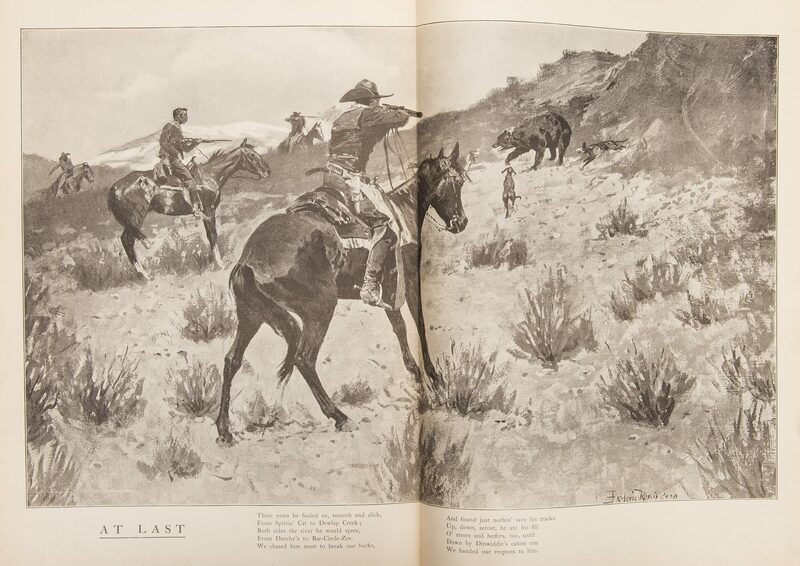 Folio, 8 loose full-page, chromolithographic illustrations of Remington's paintings including "The Snow Trail", "Indians" Simulating Buffalo", "The Pool in the Desert", "With the Eye of the Mind", "On the Southern Plains in 1860", "The Warrior's Last Ride", "The Sentinel", and "The Dead Men", housed in a hardbound portfolio with quarter red cloth over red illustrated boards with red grosgrain ribbon tie. 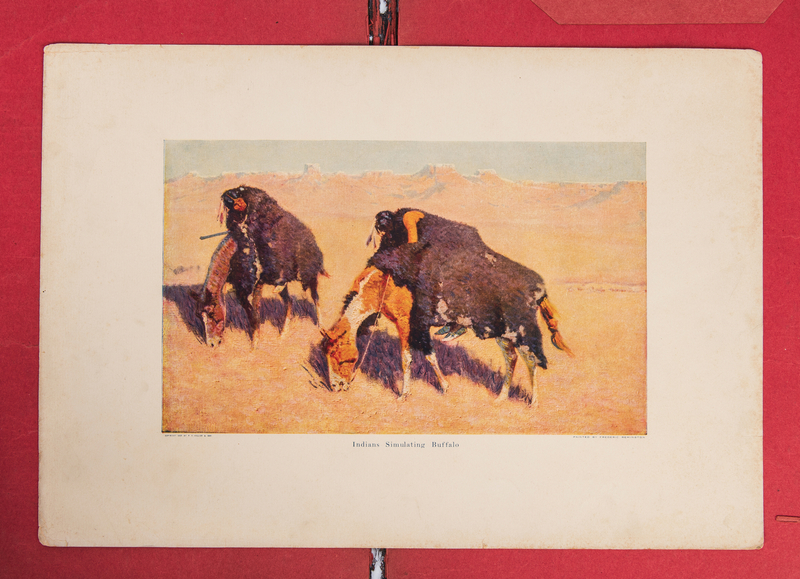 Illustrations – 11 5/8" H x 16 3/4" W. Portfolio – 17 1/8" H x 12" W x 3/8" D. Provenance: The Estate of Larry Casey, Jackson, Tennessee. 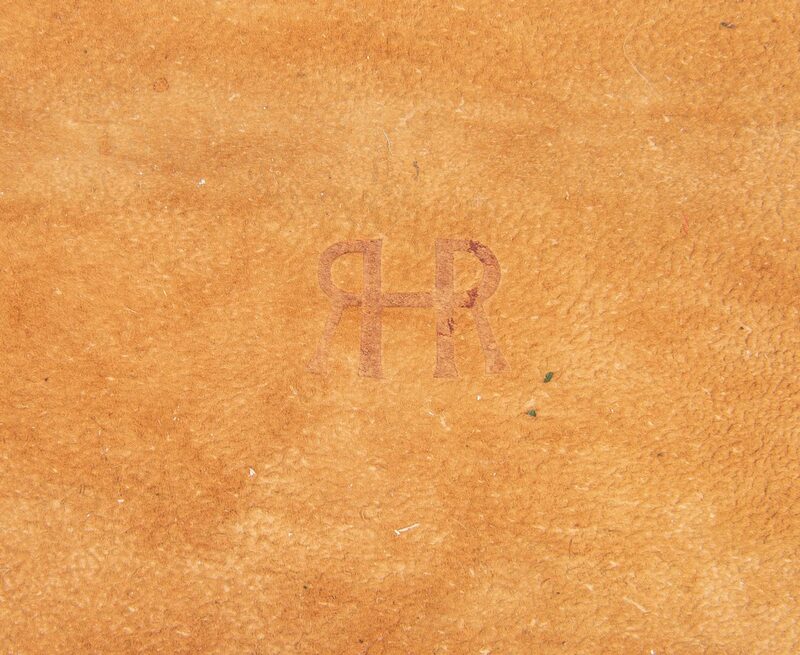 CONDITION: 1st item: Overall good condition with staining, areas of loss, largest 11 3/4" x 1/4", to covers and spine. Toning impression from masking tape around signature and number, front end paper. Front and back boards almost separated from spine. Toning, foxing spots, scuffs, to inside of front and back covers and end papers. 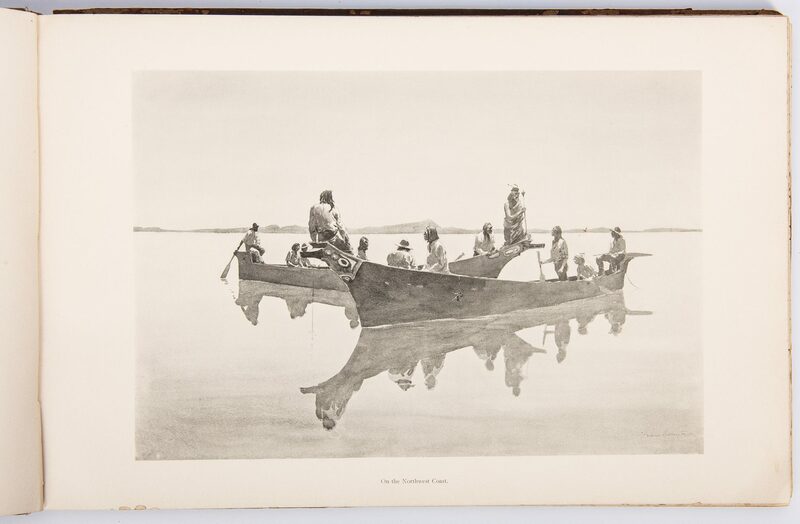 Pages in overall good condition with light toning. 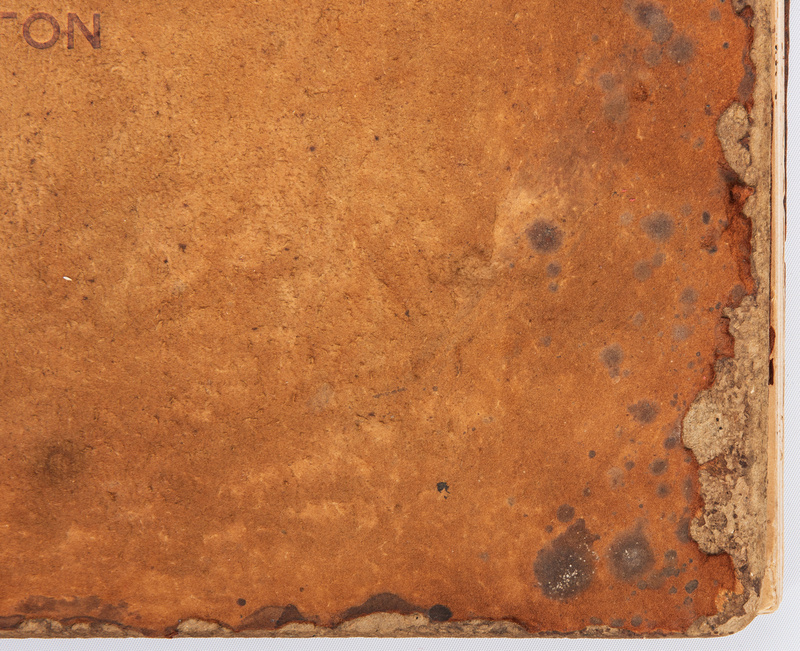 2nd item: Overall good condition with wear, scuffs, stains (including a water ring), areas of loss, largest 11 3/4" x 8 1/4", to boards. 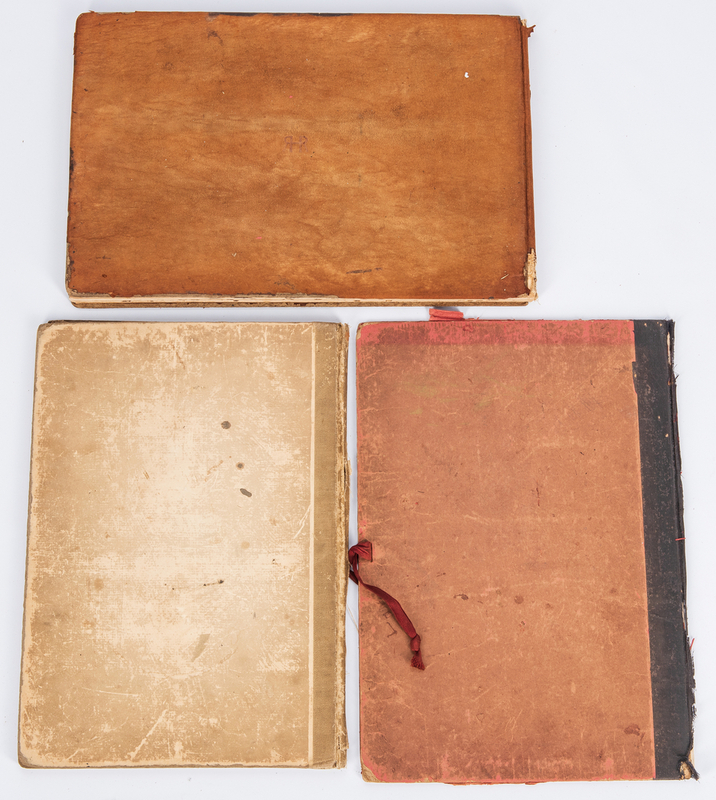 Cloth to spine with 11" tear, front and back boards almost separated from spine. 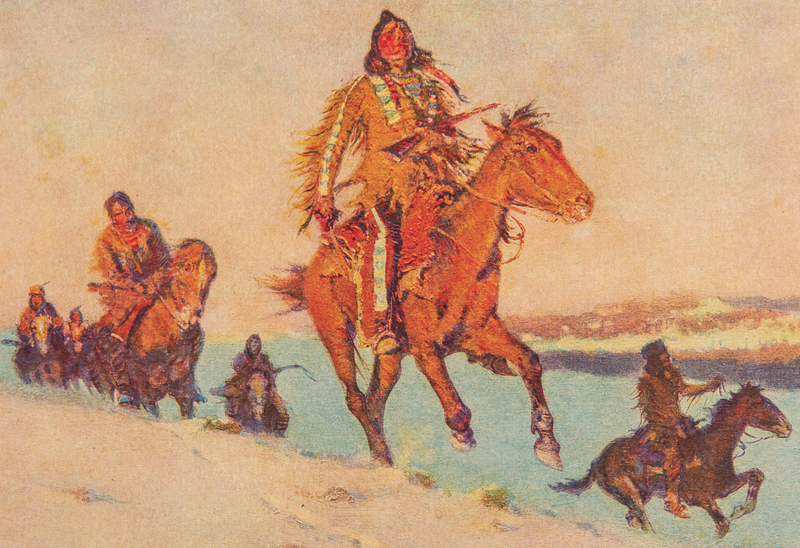 Pages in overall good condition with toning to edges, few foxing spots, scuffs, tears, largest 1 1/2". 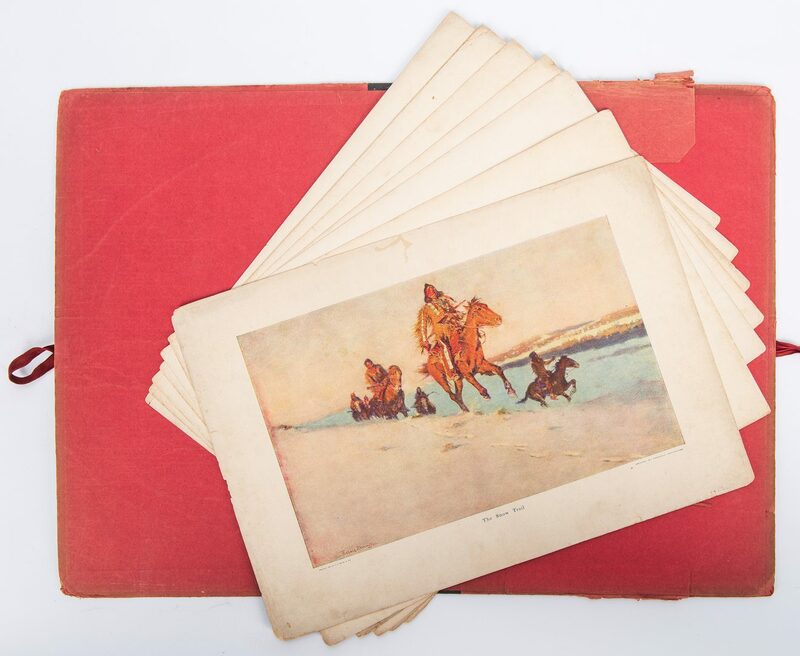 3rd item: Overall good condition with wear, scuffs, stains, creases, areas of loss, largest 1 1/2" x 1", to boards. 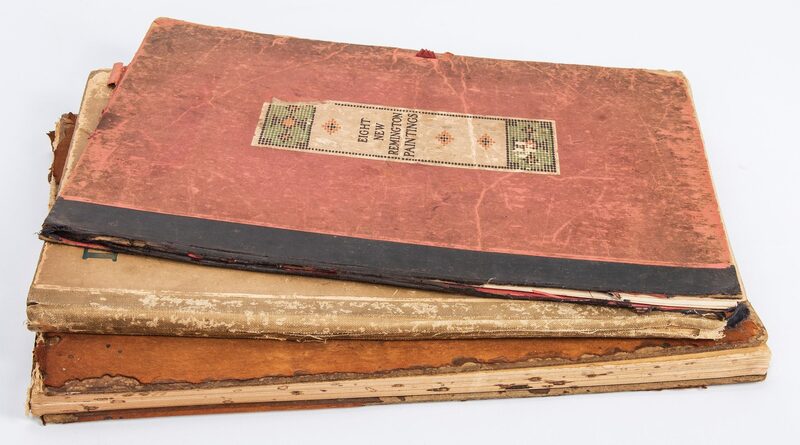 Cloth to spine with tears, largest 8 1/2", front and back boards almost separated from spine. 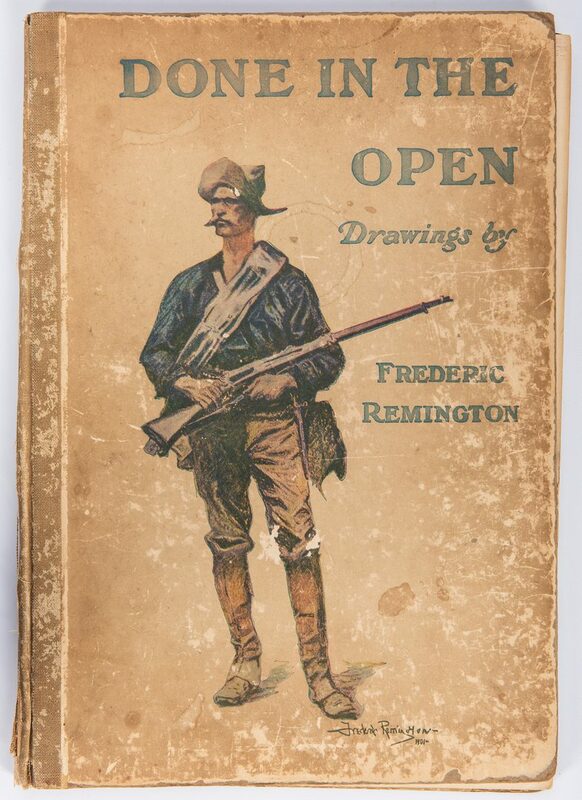 Pages in overall good condition with toning to edges, few foxing spots, scuffs, tears, largest 1 1/2", and areas of loss, largest 1 1/4" x 1" (does not affect illustrations).